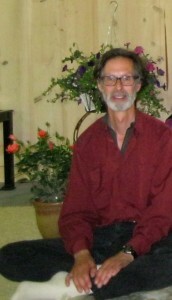 Matthew Zalichin began studying Buddhism as an undergraduate in 1971. His teachers include many of the past and current century’s most eminent Tibetan lamas of all main lineages, but principally the Kagyu and Nyingma through his two root gurus Chogyam Trungpa Rinpoche and Chokyi Nyima Rinpoche, whom he met in 1977. He has, for the most part, practiced as a householder in North America, and from roughly 1981-2000 focused on ngondros, various yidam practices, and dharma center administration while working full time, raising a family, paying mortgages, and so on. Authorized as a meditation instructor in 1981, he taught meditation, Buddhism, and related subjects continually from then until 2000, when he moved to Nepal to focus on solitary retreat practice. In July 2009 he accepted Phakchok Rinpoche’s appointment as meditation instructor and teacher in residence at Rangjung Yeshe Gomde Cooperstown.